The Hounslow Business Awards 2015 returned for its third year to showcase and reward the achievements of the borough’s business community. 11 categories of awards highlight the range of talent and entrepreneurialism that provide the local economy with a healthy platform for growth, as well as offering a chance for local businesses to network, share ideas and celebrate together. Having won awards in the previous two years, Russell Finex was delighted to be shortlisted in three categories this time around. Following success in the same category in 2013, the company was again nominated for Best SME, as well as International Business of the Year and Best Business for Marketing and Social Media. An eagerly anticipated ceremony took place at Hilton Syon Park, Brentford on Friday 9th October 2015. Martin Chipperfield, Russell Finex Sales and Marketing Director, attended the event, and was delighted to receive the award for Best Business for Marketing and Social Media, on behalf of the company. Established in 1934, Russell Finex has ensured steady growth over the past 80 years to become an international leader in the market - their longevity and reputation sees them regarded as one of the top three global manufacturers of screening and filtration equipment. With a strong and loyal customer base being a key to continued growth, considerable investment is made into maintaining and building relationships with customers across the world. A global marketing strategy enables customers to reach Russell Finex wherever they are, whether through their website available in 14 different languages or through one of many trade shows attended throughout the world. This global marketing strategy is heavily supported by local sales and aftermarket service teams, ensuring strategies can be adapted and deployed to suit local markets. This strategic, reflective and localised approach towards marketing ensures that Russell Finex stays in front of competitors, and strengthens its position as an innovative leader in all areas of the business. As well as winning Best Business for Marketing and Social Media, Russell Finex was also ‘highly commended’ in the Best SME and Best International Business categories . 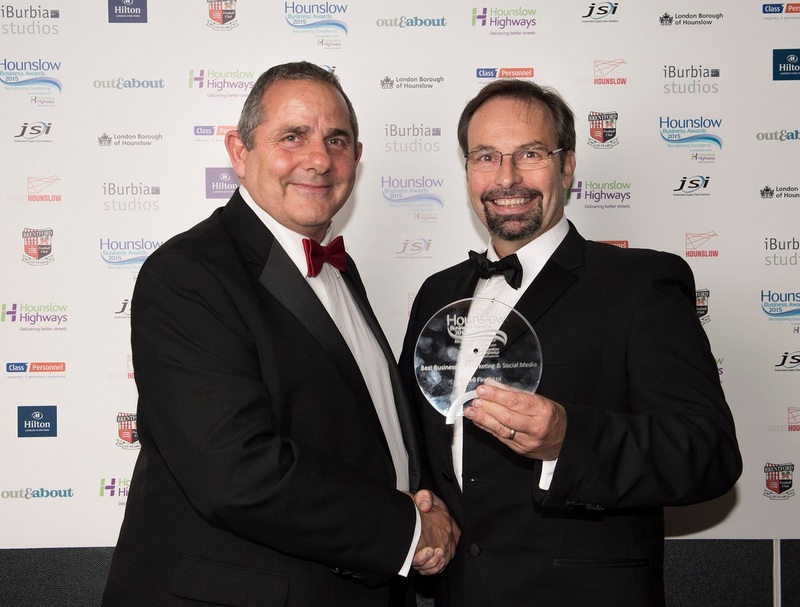 Find out more about the Hounslow Business Awards in association with Hounslow Highways here.